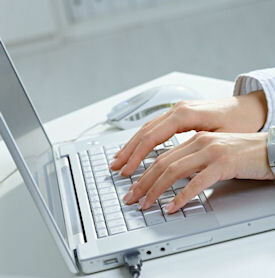 Web content writing is a skill like any other. 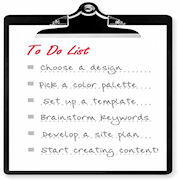 Writing web content does not have to be hard though with our step by step building web content tutorials. Every website needs some kind of content, even if it's just sales copy. So, knowing how to write content that will connect with your audience is important. However, the Make Your Own Website Coach site is about building content websites, using the SBI platform and success system. So, most of the information here and in the various tutorials listed lower down on the page is aimed at content website developers. The good news is, that when you create an SBI niche content website on a topic you love, are familiar with or want to know more about, the writing should come fairly easy. Not only is it NOT necessary to write in an authoritative, encyclopedic way, it's not advisable to write that way. A much better approach to web content writing is to use a conversational style. Just imagine you are talking to a friend about this subject that is near and dear to your heart... and the words should begin to flow. Many web entrepreneurs thrown up so-called content websites aimed solely at making money off advertising, rather than on actually providing any quality web content to people who visit the sites. Don't be one of those! Take your time building web content that matters and that offers some kind of real value to the reader. Be both personal and personable, so that you can connect with your readers on some level. If you are diligent about writing web content like that, then you're going to find that the search engines will love your pages... and the traffic WILL flow. There's a lot that goes into good web content writing. So, I've pulled together quite a few tutorials to help you with all those aspects of writing web content. Hope you find them helpful! 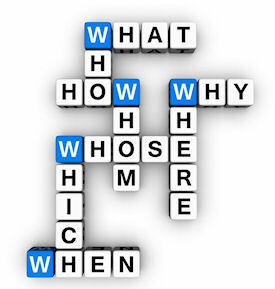 Web content writing isn't mysterious. Anyone can do it... really. As long as you commit to building web content that offers value and is original, you can't fail!